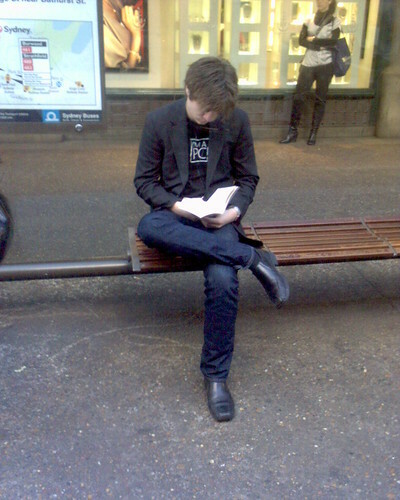 A mild mannered PC sitting reading a book at one of the bus stops behind the Queen Victoria Building. This entry was posted in Photos, Tech and tagged PC, photo. Bookmark the permalink.